The genteel Shih Tzu pleases you with his regal appearance and limpid eyes. Pleasant appearance aside, you will need to set your expectations of this Tibetan dog breed before you begin dog training sessions. 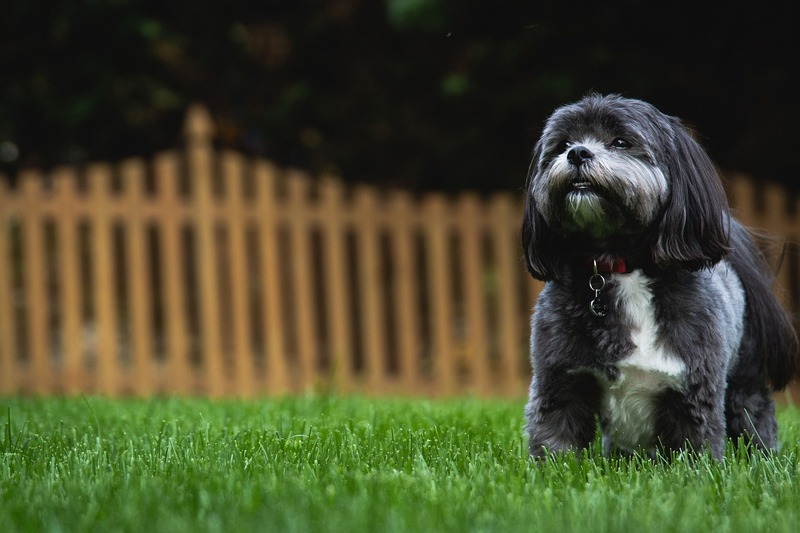 Shih Tzu Training is both fun for the owner and the dog. Find out about his temperament and the difficulties you will need to manage when training him. Discover novel games that you can play with your new canine companion. Shih Tzu Training can be easy if you understand the breed well. 2 Training expectations: What kind of learner is the Shih Tzu? 2.2 2. The Shih Tzu is smart, but stubborn learner. 3.2 2. Manage separation anxiety. 3.3 3. The Shih Tzu does not need outdoor exercise, so you can play indoor games. 5 Does the Shih Tzu make a good service dog? 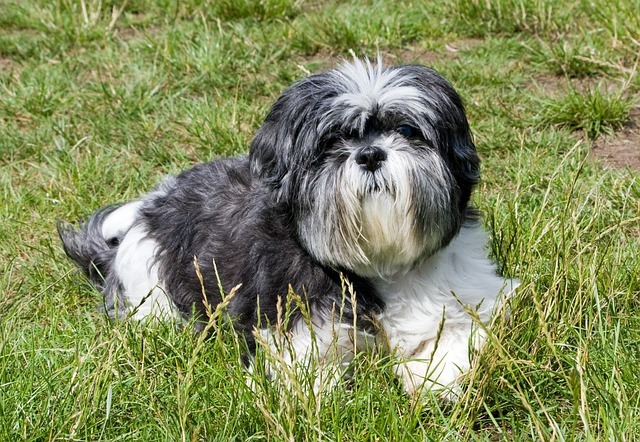 Understanding your Shih Tzu’s temperament is a precursor to training him. The Shih Tzu, like other breeds, has a set of distinguishable traits. Firstly, Shih Tzus are companion dogs. Canines that were bred as companions for Tibetan royalty, Shih Tzus do not spend time digging holes or searching for objects. Willing to please, they will prefer to spend their time at your feet. They are family dogs that develop relationships with humans quickly. They take especially well to children and seniors. Adaptable, they adjust well to their new homes. 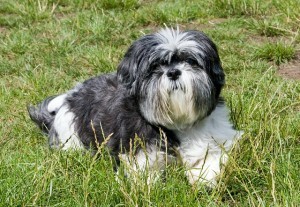 The Shih Tzu is a reserved dog with a healthy self-esteem level. His royal background gives him a regal bearing that suggests pride. He also stands in a way that implies self-assurance. His walk makes him seem self-confident. This aside, he is a friendly fellow who will greet anyone he meets on the street. He gets along well with other dogs and enjoys playing with them at dog runs. Small as they are, Shih Tzus have big personalities. Left unchecked, they may develop dominance. You may experience some cute, though irritating quirks as you try to develop a relationship with your Shih Tzu. He may bark at you when in protest against instructions, or growl if he dislikes you touching his paws. He may also love to chew on footwear. This dog has a stubborn streak, and may hang on to objects that he wants to keep for himself. Self-centered, he may pester you if you ignore him. During Shih Tzu training, it is important to establish yourself as the pack leader. The Shih Tzu has a tendency to develop separation anxiety. Though he may seem independent, he becomes nervous when left alone for too long. Note that the Shih Tzu is a one-person dog who bonds well with a particular family member. As such, it is not good to leave him alone with house guests, particularly children. Supervise them as they play. Training expectations: What kind of learner is the Shih Tzu? The Shih Tzu is a relatively fast learner, but you will need to bear his temperament in mind when training him. His keen sense of hearing makes him an efficient watch dog. He will bark as soon as someone approaches the house. The barking, however, is not perennial. He will settle down as soon as he knows that all is well. Note that the Shih Tzu is not suitable guard dog, because he is too friendly with humans. This said, he will protect you immediately if another dog attacks you. 2. The Shih Tzu is smart, but stubborn learner. Being a smart, but stubborn dog, the Shih Tzu needs patience to train. Prepare a training schedule. The Shih Tzu needs a routine. Get him to recognize that training occurs at specific times. This is a way to nurture boundaries and respect. Have a little patience. The self-willed Shih Tzu is notorious for being difficult to house train. And Shih Tzu training takes time. A puppy may take around 6 to 8 months to adapt to a training routine. Practice consistency when house training your dog, because he may become confused if you contradict your instructions. Decide if you want him to ease himself indoors or outdoors, and keep to your decision. This dog is a little opportunistic. He will look at you as if to ask “What’s in it for me?” when you get him to respond to commands. This is why it is essential to teach him basic obedience. Every dog breed has special characteristics and training needs. You must set your expectations when training your Shih Tzu, and counter difficulties as you do so. The Shih Tzu responds well to obedience training, but needs encouragement. Prepare treats and reward him when he shows a desired behavior. Expose your Shih Tzu to a variety of sounds and experiences, because new sounds may nettle him. Familiarize your dog with kitchen appliances, lawn mowers, vacuum cleaners and other sounds of daily activities. Stay calm in the face of sudden noises. If you show fear when there is a sudden noise, your Shih Tzu may pick up on this cue and become frightened himself. Do not overprotect your dog, as it might make him aggressive. Use more positive reinforcement when training your Shih Tzu. This slightly rebellious fellow does not appreciate being scolded, so praise him for the right behaviors and lower harsh tones. Ignore him when he jumps or tries to seek attention. Have flexibility when training your Shih Tzu, as he has a dynamic mood. Use different training tactics. Change the way you reward or punish him. There are times when you need to leave your Shih Tzu by himself. However, he is a sociable dog that becomes nervous when there is no one around. Teach him independence. Crate train your Shih Tzu, as this is an effective way to counter separation anxiety. Remember that crate training does not mean locking the dog up in the crate for hours on end. Leave the door open, and place his favorite treats inside, Line it with bedding. He will soon see it as a place of refuge and go in voluntarily. 3. The Shih Tzu does not need outdoor exercise, so you can play indoor games. Fairly sedentary, the Shih Tzu does not need extensive outdoor exercise. Being a small dog, he has short energy bursts. He prefers to scamper about the lawn and play a game of catch. An intelligent dog, he likes to please you with tricks. Here is an example of an intelligent Shih Tzu which does this well. Watch the Video below of a well trained Shih Tzu performing basic dog training tricks. The Shih Tzu takes well to exercising indoors. Prepare indoor games to play with him. Since your Shih Tzu may prefer indoor training sessions, prepare a few games that you can play in the home. At the most basic level, hide and seek involves getting a dog to find his favorite objects. You can make this game more challenging by making yourself increasingly difficult to find. Make sure that the dog does not catch you when you are hiding. Have treats ready. The first time you hide, make yourself easy to find. Place yourself in the next room, or behind a sofa where he can find you. Call out his name and reward him as soon as he finds you. The next time you play, start the game in the same spot. Find a slightly more difficult spot to hide. A challenging area is the bathtub, with a drawn curtain. This game will hone your Shih Tzu’s seeking skills. Have five to ten cardboard boxes ready. Make sure that are about the same size. Open them at the top to make the treat easy to discover. Place these boxes in the biggest room of the house. Use a smaller number of boxes to begin. Teach your dog to play by leading him from one box to another, saying “Where’s your treat?” excitedly. His nose should guide him to the correct box. Add more boxes to increase the difficulty level. To make the game even more exciting, place the treat on the floor and cover it with a box. Make sure that the treats are small, so that your dog will stay hungry enough to keep searching. This game is an ideal indoor activity. To set it up, prepare a good-sized box and a pile of clothes. Reserve old, unwanted clothes for such training. Place the treat in one of the clothes and layer the others on top of it. Once your Shih Tzu grows used to the game, pack the clothes in tightly. You can become more creative with the objects you hide treats in. Try doing so in water bottles or margarine containers that you have cleaned out. The Shih Tzu is an intelligent dog that loves a challenge. Put a treat in a kong toy or a mini puzzle for dogs. Choose those with pieces that the dog has to move to get close to the treat. Teach the dog to move these objects with his nose. As he does so, he will come closer to his prize. Does the Shih Tzu make a good service dog? The Shih Tzu makes a reliable service dog, though you should think carefully about how you would want him to help you. Having delicate eyes, it is prone to develop infections in that area. He has shallow, large eye sockets, so dirt and debris tends to gather around them. On occasion, they may affect his eyesight. All dogs have three eyelids. A cherry eye may develop when the gland in the third eyelid becomes inflamed and swells. He may also develop Dry Eye, or keratoconjunctivitis, which results from insufficient tears. If your Shih Tzu has an extra row of eyelashes, he may develop Distichiasis, or ingrown eyelashes. As such, he is not an efficient “seeing-eye” dog for a visually handicapped person. Further, he is a brachycaphelic breed. Brachycaphelic breeds, like pugs or fox terriers, have pushed in noses and elongated soft palates. The palate is the piece of tissue that lies above the tongue. A pushed-in nose shortens his airways, while an elongated palate may collapse and block it. Breathing problems result. The Shih Tzu needs constant recourse from the heat and cannot stay out in the sun for too long. Using him as a guide dog not wise, as you would have to spend time looking after him. This said, his excellent hearing makes him a good assistance dog. If you or your loved one is hard of hearing, consider pairing him with a Shih Tzu. To add, its calm temperament makes it an excellent therapy dog. In this video, Hana, a Shih Tzu who serves as a therapy dog in a hospital, demonstrates its intelligence and suitability. Dog lover Martha Jette, in the article Shih Tzus as Therapy Dogs: Good or Bad, suggests that Shih Tzus may not make good service dogs, but are suitable therapy dogs because of their high level of sociability. Your Shih Tzu will become a well-trained, respectful companion if you have some knowledge of his temperament and trainability. It also helps to manage your expectations and deal with the difficulties that may come your way. Have several game resources on hand as well while conducting Shih Tzu training. A well trained Shih Tzu will remain loyal and endearing for years to come.